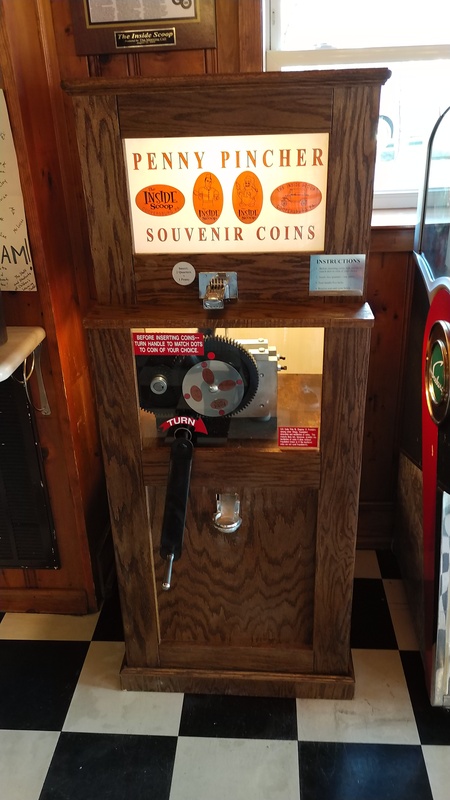 Penny press machine with 4 designs - 21 statue "chip", the Inside Scoop logo, The mascot - Scoop, and The ice cream cart. In a homemade retro 1950 s ice cream shop. acaciolo added The Inside Scoop to system.